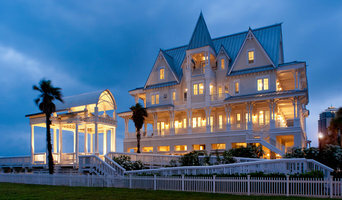 MMC/A Architects was founded in 1985 in Austin, Texas. From the very beginning the trademark of the firm has been the highest emphasis on design in both architecture and town planning. Each new project that comes from Webber + Studio delights us with fresh ideas and novel approaches to satisfying basic human desires for space, shelter and comfort. DK Studio is a boutique residential architecture firm located in Austin, Texas. We work on projects great and small...from new construction, remodels-additions. Hobbs' Ink designs custom homes and remodels. Our mission is: "To create from "sticks and bricks" happy, harmonious and beautiful environments for our clients and their families and friends." "We hired our builder first, and then asked him who he preferred to work with for design. He said Janet Hobbs, because she provided the best drawing details. When we met Janet, we immediately found her delightful to work with. She detailed our design concept with expertise--both technical and artistic. And she is a rare businessperson in that she always did exactly what she promised to do." David N. & Susan B. Forge Craft Architecture + Design specializes in custom residential and commercial architecture that includes mixed-use and multi-family, urban infill, affordable housing and restaurant/retail design. Paula Ables Interiors is a firm with a new attitude. Paula has over 16 years of experience in residential architecture and over 20 years of experience with residential and commercial Interior Design. Studio Steinbomer, is a dedicated and talented team of design professionals led by Robert Steinbomer, AIA, Amy Bramwell, AIA, Jennifer Vrazel, AIA and Jed Duhon, AIA, LEED AP BD+C. Our firm, developed over the past 25 years as Steinbomer, Bramwell & Vrazel, Architects, is committed to assisting clients in creating environments that are sensitive to context and the occupants' aspirations and needs. We view design as a collaborative process between owner and architect with the common goal of producing artful, sensible and value-conscious design. Austin Award Winning Building Designer | 3x Best of Houzz Winner! Kelley Design Group is a residential building designer specializing in new custom home design and remodeling design. Our process delivers the essence of Design-Build which is the collaboration between architect, builder, and client. This leads to a seamless transition between documentation and construction. LaRue Architects is a design oriented architecture firm located in Austin, Texas. Our firm of talented and diverse professionals has brought their experiences, education, and interests to a design intensive environment. Our focus at LaRue Architects is to create residences that are custom, responsive, and sustainable. Our clients will find that the design process is very interactive and practical, while remaining highly creative, versatile, and site sensitive. 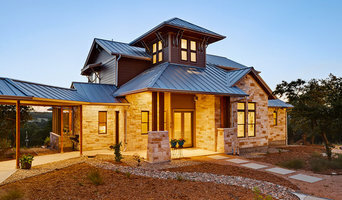 Our team of architects aim to reflect the sustainable and progressive spirit of Austin in the design of our homes. Our commitment begins at the site so we immediately embrace the notion that the building is an extension of its surroundings and reflects the character of its occupants. We at LaRue Architects believe that the greater the challenge, the greater the opportunity for an imaginative, ingenious, and ethical architectural response. With over 400 residences and offices completed, LaRue Architects brings extensive experience and expertise to every project. Feel free to reach out to us, we would love to hear from you! Rick O'Donnell Architect is a full service architectural firm known for the quality and diversity of its work and its ability to listen to the needs and desires of our clients. Austin's Luxury Custom Home Builder & Remodeler Best of Houzz Winner! 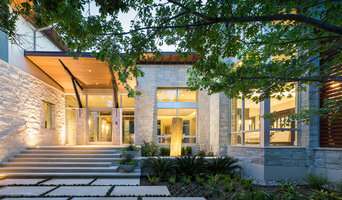 Katz Builders, Inc., has earned a reputation for building Austin’s finest homes since 1984. The Katz Team is committed to high performance quality and customer satisfaction. Vanguard Studio, Inc. is an Austin, Texas based nationally published architecture firm specializing in luxury custom and speculative homes in the Central Texas area. Our award winning designs strive to combine the timeless qualities of the past and the progressive ideas of today. Call us at 512-918-8312 to talk about your dream home! Soward Architects is an Austin based, full-service AIA firm known for its elegant & functional design of restaurants, retail, entertainment venues, multi-family, and single family custom home designs. We approach each project by analyzing the environmental influences on a site and seeking a solution that’s both aesthetically pleasing, energy efficient and meets our clients’ goals. Chas Architects creates architectural environments that combine graceful modern living with the timeless warmth of hand-crafted traditional architecture. Although the range of these projects is vast, they are all consistently described as “nurturing, soulful, romantic, & innovative”. Our studio maintains an unrelenting pursuit towards great design, ensuring our projects evoke a sense of warmth & magnetism, instilling a distinct sense of the place — providing generations of families an environment for cherished memories & fulfilled desires. John founded Root Architecture in Austin, Texas in 2011 after more than ten years of developing many different facets of the practice of architecture. PACT Design Studio is an architecture firm devoted to forming a PACT with each client, giving a unique experience that few large firms can offer. Barley|Pfeiffer Architecture is an award winning leader in comprehensive, sustainable and high performance architecture. An experienced firm with the expertise in both design and building science. A special emphasis is placed in helping clients clearly define building goals – not only what you want, but WHY. We have found that taking the time to integrate YOUR lifestyle expectations, design tastes, and budget constraints with our twenty + years of home-planning experience is imperative for a great outcome. We believe quality of life can be changed by the built environment. Our passion is to provide the blueprint that transforms wood, stone, metal and mortar into beauty and joy for you and yours. David draws from his bachelors degrees in both architecture and fine arts to help people realize their building dreams. Using a collaborative approach, David can design for any style and budget. We're an award winning design-build firm comprised of architects, artists, designers & craftsmen whose varied mix of expertise help to define our holistic approach to our work. Furman + Keil Architects is a design-focused firm located in Austin, Texas, celebrating over two decades of architectural practice fueled by our awesome clients and the dedicated people in our firm. We love to engage our clients in a fun, collaborative process that results in a unique home, specific to their dreams and grounded on their land. With decades of experience, we can act as expert guides in the creation and realization of a lasting home. Our work seeks a fresh balance between local traditions and innovative design. We strive to create timeless, sustainable buildings grounded in a strong sense of place and built to be enjoyed for generations. Best known for our custom residential design work, we have expanded our scope over the last several years to include small-scale commercial projects. Austin's Expert Architectural Design Firm | Best of Houzz 2017 & 2018! Venture Four Architects is a small, energetic, hands-on firm. Our projects are defined by responsive design and attention to detail. Daniel Boardman Residential Design is an Austin based residential design firm that specializes in the architectural design of custom homes, home additions, and kitchen remodeling designs. Austin's Planning & Design Firm with Extensive Industry Experience! Our goal is to educate, differentiate, and distinguish ourselves from the industry standards by providing customers with all the tools they need to make their dream home a reality. How do I find the best Briarcliff architect for my home design project? It is best to hire a home architect who will be involved in all phases of the design process, from the initial concept to the completed construction. The architect is often the first person you will hire for your project. If necessary, they might also help you select and hire Texas subcontractors, which can include the builders, engineers and landscaper. Interior architects are also involved in negotiating contracts for all involved participants. It is for these reasons that it is extremely important for you to have a good relationship with the Briarcliff residential architect you hire. He or she can be the tie-breaking vote between you and the general contractor and can be your biggest advocate during the construction process. Different architecture firms in Briarcliff, TX provide different services, so the scope of the work can span from pre-design environmental impact studies to selecting furniture and finishes, depending on what your specific needs are. It is very important to hire the right professional for the job. Remember that the most well-known or established designer might not provide the best architectural services for your needs. It all comes down to the individual project. Research and ask people whose work you like for recommendations. It's important to have somewhat of an idea of the style of house architecture that you prefer, as well as the amount you would like to spend. 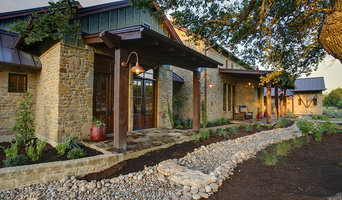 Residential architects in Briarcliff, TX are natural problem solvers. They will assess the entire situation and help you to solve your problems too. Don't settle for a single company too early. Call and interview a few. Make sure that you feel like your personalities will mesh well and that you like their professional perspective. Find a home architect in Briarcliff, TX on Houzz. Narrow your search in the Professionals section of the website to Briarcliff architects. You may also look through photos of Texas projects to find interior architects and building designers who have worked on a project similar to yours.